ALLSTARS - large Belarusian concert Agency, established in 2009. ALLSTARS works in the field of top-level event promotion. 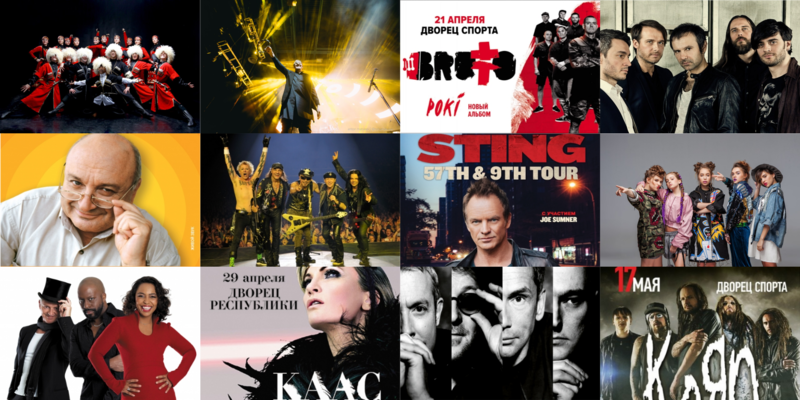 We held the shows of world-famous stars such as Sting, Robbie Williams, Shakira, Scorpions, Hugh Laurie, Toto Cutugno, Patricia Kaas, Vanessa-Mae, Korn, Ian Gillan of “Deep Purple”, Brian May of “Queen”, as well as the best Russian, Ukrainian and Belarusian artists such as Philipp Kirkorov, Elka, Sergei Penkin, Mikhail Zhvanetsky, Stas Pieha, “Open Kids”, bands “Okean Elzy”, “Bi-2”, “Mashina Vremeni”, “Chaif”, “Splin”, “Boombox”, “BRUTTO”, “LYAPIS’98”, art-group “The Turetsky Choir” and “Soprano” and many others. We also held such music festivals as “LIDBEER”, “GLOBAL TOP DJS” and “B2-FEST”. establishes a mutually beneficial business relationship with the venues. We know how to make any event interesting and most effective!